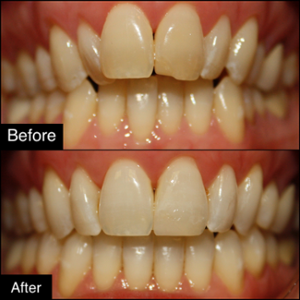 If crooked teeth make it difficult to clean teeth effectively, or teeth are contacting in ways they are not designed to all sorts of problems develop. In our continuing efforts to perform as little describe the imagedentistry as possible on your teeth, Invisalign has become one of our most important tools. Invisalign removable braces will prevent future dental costs, time and discomfort more than straight, easy to clean teeth that are in perfect harmony. It just so happens nothing looks better either! Much more information can be found here. For additional Invisalign photos go to our Invisalign photo gallery.